RMK Marine is going to develop a new motoryacht concept based on the RMK58 platform. The new platform will have sleeker and modern lines creating a yacht with low interior volume but large exterior areas ensuring a cost efficient superyacht. The new concept will have electrical propulsion as an option. Low CO2 print building and low emission operations will be two important design targets of the concept. The new concept will have a LOA between 55 to 65 meters. With the currently active 5 super yacht refit projects ranging from 38m to 52m together with dozens of classic yacht restorations and small craft maintenance works, all hangars in RMK MARINE are in full action. RMK Marine proudly continue to prosper its refit business while larger yacht refits are on their way. 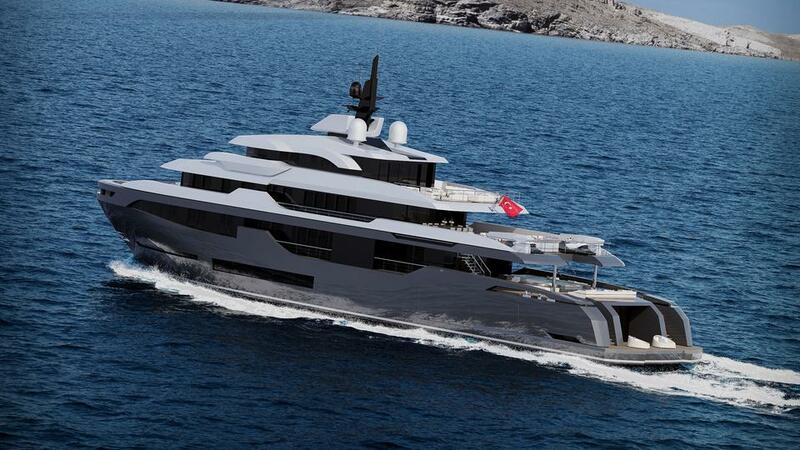 RMK Marine is chosen as the builder of the 62m yacht support vessel. The 62m vessel is designed by VanGeest Design and Marimecs Engineering as a development in conjunction with Yacht & Villa International Superyacht Brokers. The vessel is going to be one of the longest yacht support vessels in the world and the longestyacht support vessel built by RMK Marine when it is completed. RMK Marine’s background is yacht construction is the main reason to handle the project. The new yacht outfitting hangar construction has started in RMK Marine. The hangar of 2000 square meters will be devoted especially for building and outfitting of composite yachts up to 50 meters and will start to operate in March 2019.